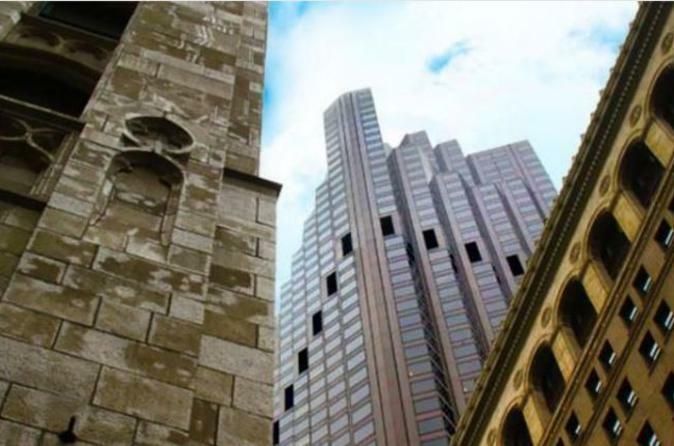 Explore San Francisco's iconic Financial District on an easy 2.5 hour walking tour. Hear the legends of the city' first venture capitalist, banking scandals, architectural genius and a public funeral for a much loved stray dog. See hidden architectural treasures, a ballroom, sculptures, and the spectacular Garden Court at the Palace hotel. Walk with a local expert guide. The discovery of gold in the foothills of the Sierra Nevada mountains brought thousands of immigrants from all over the world to the western shores of California in the mid 19th century. What had been a small sleepy fishing village of a few hundred people was transformed overnight into a city of Australian, Chinese, Irish, Italian, French, German, and South American immigrants. Although the lure of gold brought people from all walks of life to the foggy shores of San Francisco, it was especially appealing to adventurous men, entrepreneurs and criminals searching for new lives, riches, and golden opportunities along the unregulated shores of the wild city. Nowhere in San Francisco was this more apparent than the area now known as the Financial District, once referred to as the "Barbary Coast of California". Your tour of this historic area begins at the Bank of America Plaza on California and ending on New Montgomery. You will be introduced to the neighborhood and begin your journey through the once-wild streets known 150 years ago for the illicit saloons, brothels and houses of ill-repute that once dominated the waterfront. Your guide will fill you in on how this neighborhood came to be dominated by banks and corporations as San Francisco became the "Wall Street of the West" with beautiful examples of American Renaissance style architecture. After a leisurely 2 hours walk discovering unique aspects of the city, you will end your tour at the magnificent Palace Hotel.